Attempting to summarize the teaching of the New Testament is fraught with challenges: how does one present all this content? Numerous authors simply progress through the NT books or authors (Marshall). Others trace ideas throughout the NT, noting development or diversity (Ladd, Dunn). Others provide a synopsis of NT teaching on a given theme (Guthrie). Yet others approach the NT more systematically, with stated presuppositions (Schreiner). Tidball notes the value to each approach, but presents a unique conversational approach. In Tidball’s approach, quotes or summaries of each NT author – Luke, James, John, Jude, Mark, Matthew, Paul, Peter and “the Hebraist” – are brought to bear on a series of topics central to the NT. In addition to the authors, are a fictional “Chair” who guides the discussion, and an “Observer” (aka. Tidball!) who adds reflection, background, interpretive opinions, etc. With this angle, Tidball is able to note harmony and diversity in a very creative way. So what do the NT authors talk about? What unifies them? Surely it is the Gospel. Tidball arranges the material under the following headings (with my summary beside it). The common thread of the NT: the Good News. How the Gospel is central to the NT authors. What is the source of the Good News? The nature of God and how Jesus reveals Him. Why is the Good News needed? Sin, wrath, communities, fallen creation. Who is Jesus, the Messiah? Jesus’ humanity, sinlessness, last Adam, Christological titles, Trinitarianism. How was Jesus Good News? The kingdom of God, Jesus’ life and ministry, especially his death, resurrection and ascension. What does Jesus offer now? The Good News today. Freedom from the Law, atonement, union with Christ, justification, other salvation concepts (adoption, reconciliation, new creation, ransom, redemption, new covenant), the power and person of the Holy Spirit, and sanctification. How do we make the Good News our own? Repentance, faith, baptism, the church and her relation to Israel, practices, leadership and mission. What does it mean to live as Good News people? The priority of love, holy living, household ethics, a new Law, imitation of Christ. What does the Good News say about the future? The return of Christ, why He returns (judgment, completion of salvation, new creation, the signs of His coming, the Millennium, death, heaven, hell, new creation. Does Tidball Let the Voices Speak? When writing or speaking about the Bible, there is always the danger of imposing one’s own ideas upon the text. However, in Tidball’s case, the risk may be even greater, since he is speaking in the voice of the NT authors. To be faithful, Tidball must walk the tightrope of clearly summarizing the NT’s teaching, but without going any further than its actual words. How does one summarize without interpreting? Admirably, Tidball shows himself a nimble tightrope walker. In controversial subjects such as the Millennium debate, he, in the voice of John, does not take a position aside from noting that John’s intention was not strict date-setting but pastoral encouragement. But what of the debate? The role of the “Observer” is useful here, summarizing the three major positions and offering a few words of critique. In another example, when it comes to the hell debate, Tidball presents Annihilation as a fair alternative. That said, I noted a few wobbly exceptions to his tightrope performance. One is his treatment of Israel and the church. He has Paul saying “we may see the church today as ‘the Israel of God’ (Gal 6:16)” (p198). However, this interpretation of Gal 6:16 is hotly debated. The Observer usually attempts to be impartial when presenting debated topics, but here adds that while some interpret “Israel” in Rom 9-11 as ethnic Israel, Rom 9:6-8 “would not seem to [allow] a carte blanche promise about ethnic Israel being restored” (p198). My issue is not that Tidball holds this view, but that his view of Paul is being presented as Paul’s own in a book that attempts to not take sides. However, it must be re-emphasized that this misstep is uncommon in the book. 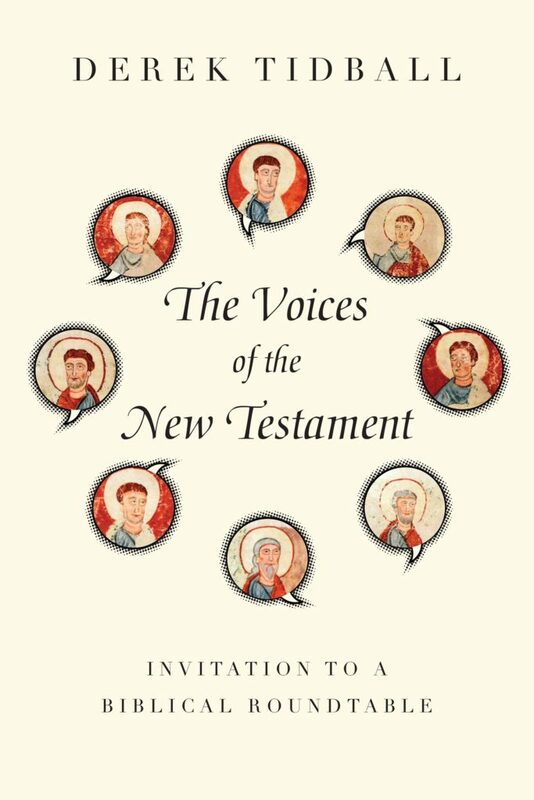 I wish there were more books like The Voices of the New Testament. It is down to earth, yet articulate, detailed, scholarly, yet even fun for those other than me! At its heart, The Voices of the New Testament is a New Testament biblical theology, but written in such a unique and approachable way that seminary student and churchgoer alike would enjoy and profit. If I were teaching a course on the NT, this would be my textbook, without a doubt. I would even probably use this for a Bible college theology course. Though this book is ideal for students, I’d also recommend it to the interested believer as a fantastic and engaging summary of the NT. If only more books were so creative!